I'm regularly asked to talk with students, interns, and new grads about how they can break into social media marketing or what it's like to work in this field. And, while there's no shortage of social media advice these days from any number of personalities, we less often hear directly from individuals doing the work directly at major brands day in and day out. Hence, I once again reached out to my network of industry colleagues to get their points of view around what it takes to do this for 40+ hours each week on behalf of some the world's major brands. 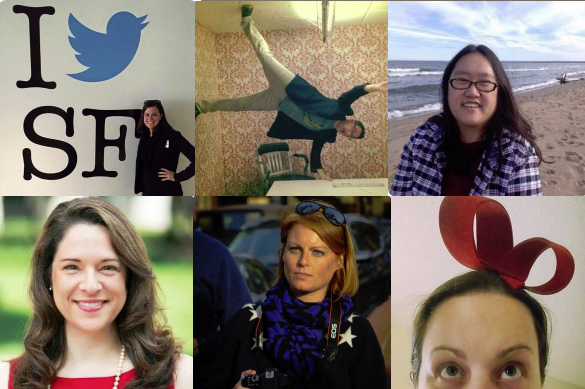 I asked them: "What does it really mean to be a social media expert?" "A lot more than just knowing how to post content. There are still a lot of folks out there who think social media is easy and free, neither of which is the case. In my opinion, the most highly sought-after social strategists all possess three main qualities: agility, the ability to analyze data, and passion. Agility is important because the medium can change on a daily basis (or sometimes even multiple times in a day), but so can projects or campaigns you're working on. Being able to juggle character limit changes or budget changes quickly and easily is critical. With algorithms now determining what content gets seen on many of the major social networks, understanding how to analyze your engagement data is critical. If numbers start dropping, it's time to revisit what content you're posting, or you risk losing your audience because your posts won't be shown. And of course, passion. If you don't love what you do, you're likely not motivated to stay on top of this ever-evolving space - and that's one of the quickest ways to fall behind your peers." "It means being a lifelong learner. Its become cliché to say that social media changes constantly, but just think about what you were doing two years ago versus today. Being nimble is also important. Listening to your peers is very important. So, I make sure to compartmentalize my time wisely. If I spend just a few minutes each day optimizing my content, I feel better about my efforts and don't have to question what I'm doing. I have my own Twitter lists and people I trust for thought-provoking news and insight, so I make a point to read blog posts or listen to videos from the people who I look to professionally, versus just surfing my personal Facebook feed or following the daily political news. Even if I'm not personally with someone, I try to surround myself professionally with people who inspire me, so I can focus on improving my skill set every day." "You embrace change. These are not jobs for people who are change adverse. The platforms are evolving all the time, the requirements and rules morph all the time, best practices change all the time. If you don't operate well in a world filled with shifting dynamics, or if you find uncertainty to be debilitating rather than exciting, this isn't the field for you." "A social media expert should bring value to an organization by adding discipline and focus, holding the line in making strategic choices and using data to keep things on track. The first thing you need to know as a social media expert is what the organization's goals are (hint: "get on Snapchat" is not a goal). Once you know what you're playing for, your role is to determine which tactics are most appropriate and how to use them most effectively. You'll also need to know how to analyze your program once it's running, both at an operational and executive level. Is it delivering the results you expected, and if not, why not? How is it moving the needle on your goal - and more importantly, how can you sell its value to your leaders? Bonus tip: You need to know when and how to ask for help. There's an amazing network of pros who have blazed trails in every area of social media, and almost anyone in the field is more than happy to help a colleague out. Be a contributing part of that community, and you'll never have to do this crazy job alone." "It helps to be interested and fascinated by people - what makes them tick, what makes them engage and what will turn them off? It's this anthropological analysis leading to audience-first insight and strategic recommendations that mark out the best of the best in terms of social media talent - if you don't put your audience needs and behaviors as a priority in your social media strategies and campaign creative, and therefore aren't able to optimize your content and distribution strategies to align with audience needs, then you won't achieve your strategic objectives. A passion for the channels and the different content and targeting formats you can leverage to reach your core audiences is also a must. The pace of development and change is unprecedented in comparison to other parts of the marketing and communication mix and without a real passion and curiosity for these channels, you'll likely struggle to stay abreast of the new formats. And lastly, be a natural multitasker (you'll be forever juggling multiple projects, activities and tasks), with a love of language (it's a true skill to write for social media and keep the content engaging and all messaging intact), a hunger for knowledge (you'll never know it all) and a natural eye for smart, value-add, engaging creative (which aligns with and achieves business objectives)." It means going omnichannel. It's not enough to be a so-called expert in social media. Put another way: You need to speak the language of cross-media. Why? Because no good marketing or communication strategy lives in a silo. Social media is only partly a practice unto itself. Those doing it best understand how it can be used to community-build, market, recruit, sell, gather intelligence, and the like. Therefore, you need to understand the media and marketing practices that make sense for your business - SEO, SEM, mobile, web, print, earned, email, out of home, native, etc. Illiteracy across any of these practices handicaps your business' competitive advantage, and you as a professional. If you can't speak intelligently about cross-media integration and social's place therein, it's time to get up-to-speed. Moreover, you need to understand how utilizing these various channels tie back to larger corporate initiatives, e.g. - your customer experience strategy or your overall brand promise. Find yourself a few mentors - people who can speak to both your personal and professional life, are individuals of integrity, and may not always agree with each other. It's nearly impossible to replace the inherent value of a mentor by reading articles. Focus on quality - And finally, passed on to me from Level 3's corporate communications leader, Nikki Wheeler (who helped edit this post, in fact): Invest in a grammar/proofreading program or resource to ensure your message isn't lost in "accidental fat finger fumbles." There are several good options available online.